My friend Jill Jensen has been making weekly quilts for many years. For her it is part art practice and part journaling. Jill is both organized and disciplined, and so far she has not missed a single week. Inspired to try something similar, I have decided to make one new book every week this upcoming year. The main motivation is to learn new techniques and to test new methods. So these books will not be content driven, nor will they be perfect or even usable in some instances. Book no. 1 is a variation on Hedi Kyle's blizzard and crown books. 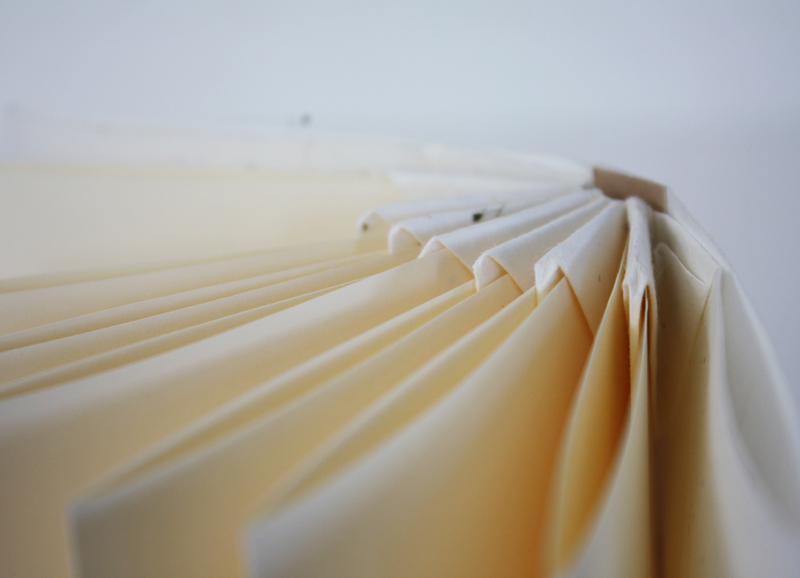 I was first introduced to this technique by India Flint during her workshop at Shakerag, TN, summer of 2010 (we accomplished so much during that week…) The book is comprised of folded paper—no stitching or glueing is involved. 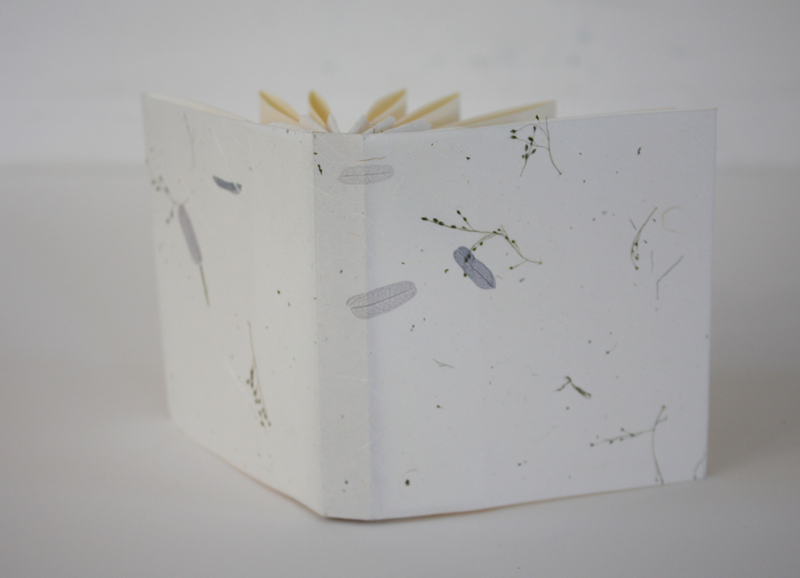 I used a handmade medium text weight paper for the cover and the pockets, and reclaimed stationery paper for the pages. I love the fan shape this book makes, and there are lots of potential for including imagery and messages in this format. The size of the sample is 4" x 3.5" x 0.5" and it has 7 double folded pages, plus cover. The first blizzard book I made in India's workshop. Book no. 2 is loosely based on a book from the Vatican Library. "ARCH. CAP. S. PIETRO, Puntature Bis 35" is featured in Monica Langwe's book "Limp bindings from the Vatican Library". 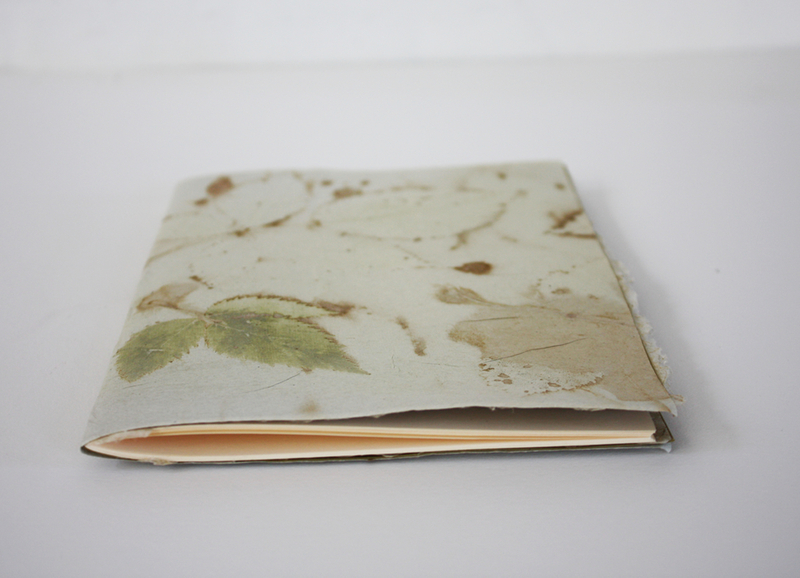 This book is made with a single signature, which is attached with a simple pamphlet stitch. 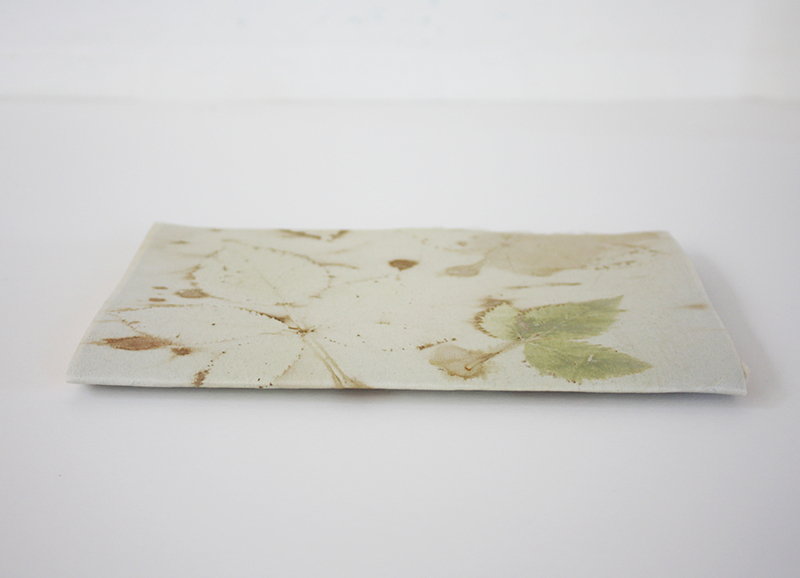 The cover is lined with an end paper before construction and once the signature is sewn in place, the outside is covered with a decorative paper (glued in place). That way the stitching is only visible from the inside of the book. I used a medium weight cover from French Paper. 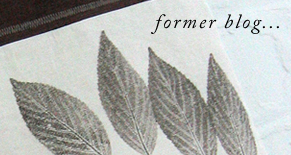 The end paper is by Velma Bolyard and the outer paper is newsprint, ecoprinted with raspberry leaves. I can imagine using this format for a variety of simple notebooks, using recycled paper and other interesting materials for the interior pages. The size of the sample is 5.5" x 8.5", and it has 40 pages, plus cover.